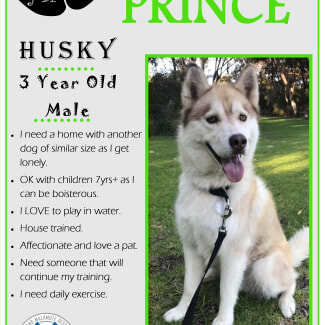 Husky And Malamute Rescue Inc. is a fully registered and insured, Not For Profit organisation that has been operating in Western Australia since October 2015. We also hold a charitable collections license. We rescue husky and malamutes (and crosses) from dog pounds and from private homes and are a foster based rescue group. Our committee has 60+ years breed experience and 17 years rescue experience. All of our dogs are groomed, vet checked, vaccinated and sterilised before they go to their new home. HAMR has welcomed on board Vetwest Animal Hospitals as a corporate sponsor to help us with our rescue dogs. Once the form is returned we conduct a phone screening to discuss the breeds needs and make sure people understand the responsibilities of owning a husky or malamute. 2. After our phone call we will request to do a fence and property check to ensure our HAMR dogs will be kept contained safely. If the fence and property check is passed we then move onto the next stage, if fences or gates are not adequate to keep one of our rescue dogs contained, we will offer suggestions on how to improve fencing/gates/possible escape routes. 3. Depending on each individual dog at the adoptive home- up to 3 x Meet and greets on neutral grounds, 1 x playdate at the property, 1 x day stay at the property, 1 x night stay. If the night stay is successful then the dog will stay for a 3 week trial period (HAMR provides food while our rescue dog is on trial). 4. After the 3 week trial period an adoption fee is paid and the adoption is then made official. Reintroducing ROMEO... Due to unforeseen circumstances he has come back into HAMRs care after being adopted over 2 years ago. ROMEO is looking for his forever family that can dedicate the time and commitment he is needing. 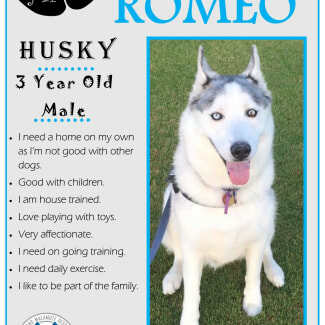 If you feel you are the perfect home for ROMEO please head to our website www.hamr.com.au and submit an EOI form. 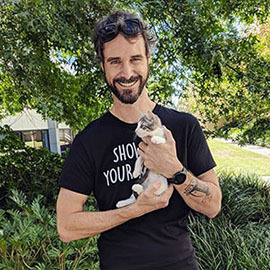 PRINCE, this young fella is now ready to find his furever home. Could you be the right family that can give PRINCE his second chance at happiness? 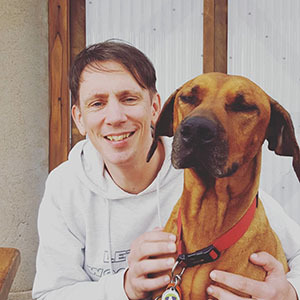 If you feel you can give him the love and attention he deserves please head to our website www.hamr.com.au and fill in an EOI form. MAYA (pronounced MY-AH) This lady is looking for her second chance at happiness to just chillout and hangout with the family. 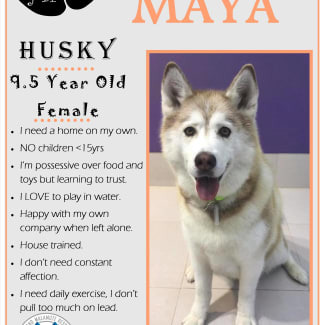 If you feel you'd be the great home for MAYA please head to our website www.hamr.com.au and fill in a EOI form.